Hackers are exploiting the CVE-2018-0101 CISCO ASA flaw in attacks in the wild and a Proof-of-concept exploit code is available online. This week, Cisco has rolled out new security patches for a critical vulnerability, tracked as CVE-2018-0101, in its CISCO ASA (Adaptive Security Appliance) software. This is the second the tech giant issued a security patch to fix the critical vulnerability in CISCO ASA, the first one released in January. The vulnerability could be exploited by a remote and unauthenticated attacker to execute arbitrary code or trigger a denial-of-service (DoS) condition causing the reload of the system. Now the company confirmed that attackers are trying to exploit the vulnerability CVE-2018-0101 in attacks in the wild. The vulnerability was discovered by Cedric Halbronn and received a CVSS base score of 10.0, the highest one. This week Halbronn presented its findings at the REcon conference in Brussels, in its speech titled ‘Robin Hood vs CISCO ASA Anyconnect.’ he highlighted that the vulnerability could be present up to seven years old because the AnyConnect Host Scan is available since 2011. 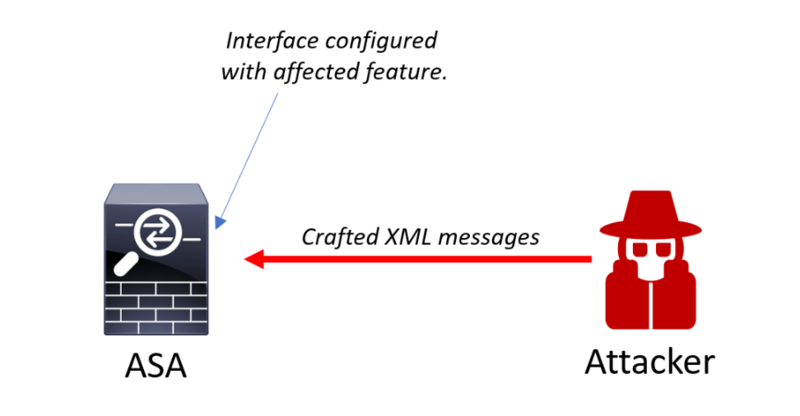 The new attack scenario covered with the new update sees an attacker exploiting the vulnerability by sending specially crafted XML packets to a webvpn-configured interface. A “Cisco ASA CVE-2018-0101 Crash PoC” was already published by some users on Pastebin.